Do you need some new hydraulic parts in Chino CA for your mobile, industrial, agricultural, or fluid control equipment? Look no further than Bernell Hydraulics. Our staff really knows their stuff and they can help you make a wise decision regarding your next hydraulic parts purchase. We can help you find parts suitable for different temperature and pressure requirements as well as for unusual or extreme operating conditions. 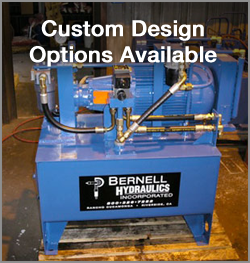 At Bernell Hydraulics, we offer 24 hour onsite assistance with repairs and installation of new parts. If you know exactly which parts you need, you don’t even have to come to the store–just give us a call and we’ll send one of our mobile techs to your job site with the new parts in hand. Because we test all the work that we do before leaving the job site, you can rest assured that your equipment will be ready to go. Next time some of your hydraulic parts in Chino CA wear out, you can handle the problem with a single simple phone call to Bernell Hydraulics.